The humble application programming interface has seen tremendous growth over the past few years, and no one’s happier about that than we are! 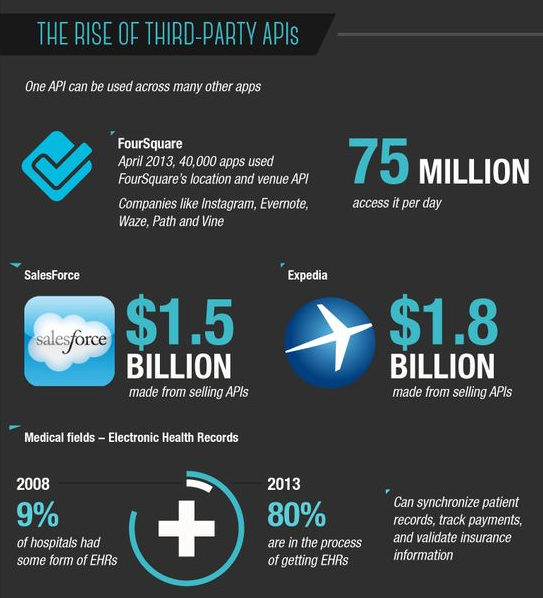 Why have APIs become so important? 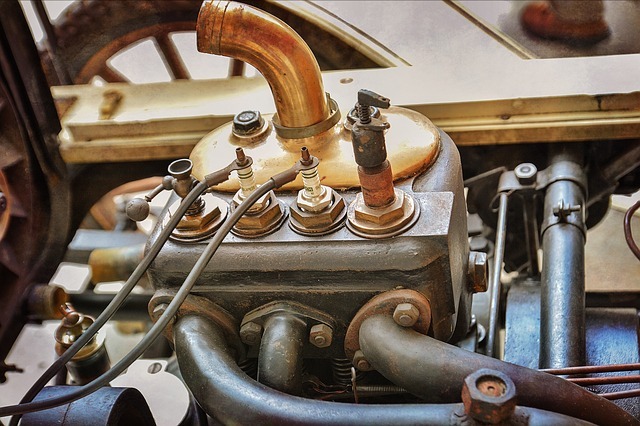 Many web companies and services that aren’t API-centric still offer some form of API for their own users. It’s gone long past the stage of being a ‘nice to have’ or a ‘customer request’ – it’s expected. APIs have been a must-have for developers from the beginning, but it wasn’t until business managers and investors realized their potential that they really started to take center stage. The point at which development and business needs meet makes for an incredibly powerful force. It is largely this which has seen the exponential growth of APIs in recent years, a trend which is still not close to reaching its peak. One hurdle that the API economy has successfully overcome is presenting the merits of APIs to less technical people. Working in the API industry is challenging but rewarding. It has none of the simplicity of demonstrating an end-user app or service, but it provides unlimited applications and possibilities. 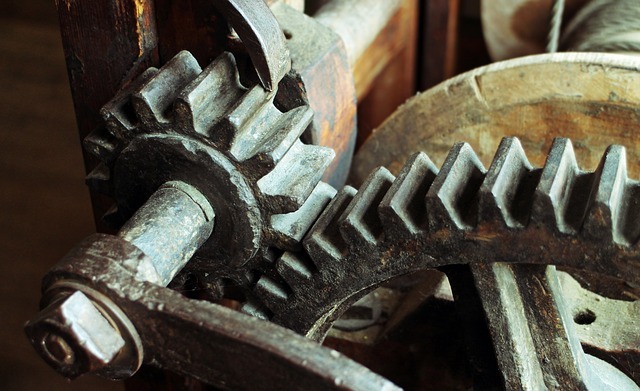 If you can imagine it, you can probably do it, and that’s why it’s so exciting to be a central part of the developer’s workflow and seeing how your service is implemented in creative and useful ways. However, if you’ve ever tried explaining what an API is to a non-technical person, chances are you’ve encountered a few bewildered looks. There are plenty of explanations and analogies on the web, but they often get overly complicated very quickly. The simple approach, e.g. ‘An API is a specific set of commands used to instruct a software program to do things.’ (source) is best. If you’re a developer looking to explain APIs in greater detail or a business manager wanting to find out more for yourself, Programmable Web has a great guide entitled What are APIs and how do they work? 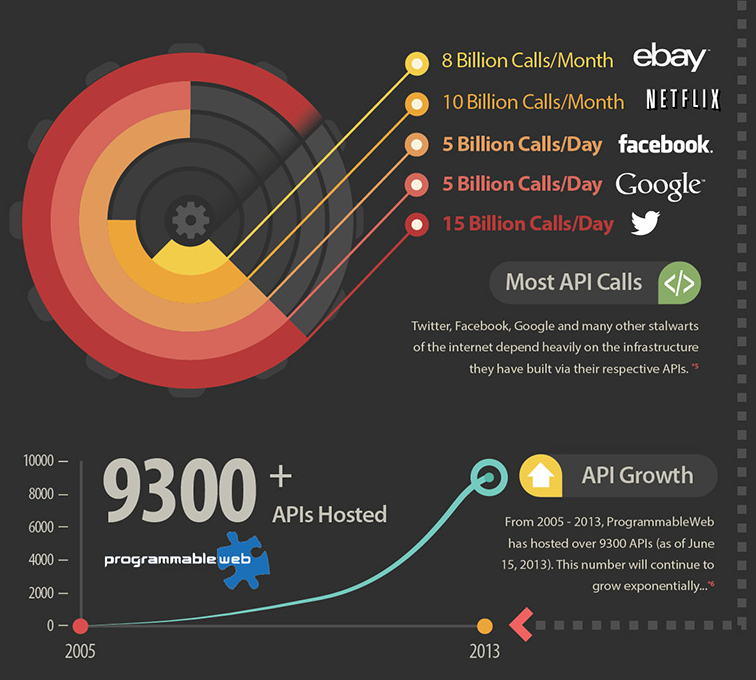 Although the following data is a little outdated, being from 2013, it still depicts the trend of massive growth in the API industry. The numbers have only continued to increase since then; for example, Programmable Web’s repository now lists over 14,500 APIs. APIs have an integral role in building the web, and their importance (and, crucially, understanding of that importance) will only continue to grow. There’s so much support and respect across the world for this growing market that, for API-centric companies like us, it’s an exciting time. More than that, we can’t wait to see what we can help you do. If you’re a Cronofy user (or aspiring user), drop us an email and tell us what you’ve been working on, or ask us a question about the Cronofy API. We love hearing from you.